CION Investments is a leading manager of investment solutions designed to redefine the way individual investors can build their portfolios and help meet their long-term investment goals. With more than 30 years of experience in the alternative asset management industry, CION strives to level the playing field. CION currently manages CION Investment Corporation, a leading non-traded BDC, and sponsors, through CION Ares Management, CION Ares Diversified Credit Fund, a globally diversified interval fund. CircleBlack is a financial technology firm focused on solving the key pain points financial advisors experience. CircleBlack’s data hub capabilities empower financial advisors to see all of their data by aggregating information from numerous custodians, product providers and clients in one accessible, easy-to-use, location. CircleBlack leverages its data management capabilities to provide lower cost / higher value solutions with features including investment performance reporting, portfolio analytics, billing and client engagement portals. CircleBlack also provides fulsome integrations with technology partners leveraging multi-directional data to and from other applications and vendors including those that provide advisors with CRM, Risk Analytics, Financial Planning, and Research tools. This allows Independent Registered Investment Advisors and Broker Dealers to have the technology stack that most appropriately supports their unique business models. Social Security Timing - Your clients may think that taking Social Security as early as possible is the right choice. With Social Security Timing®, you can help optimize their strategy and increase their retirement value by up to $100,000. Tax Clarity - Clients often don’t understand interactions between different types of income and deductions, leading to potentially significant tax inefficiency in their retirement strategy. With Tax Clarity®, you can provide tax alpha and quickly identify sub-optimal situations, showing clients how to make retirement decisions in the most tax-efficient way. SmartRisk - Clients are often blind to market risk and typically don’t have accurate downside expectations – either too conservative or too reckless, leading to sub-optimal investment allocations. With SmartRisk™, advisors can analyze portfolio risk and easily communicate with clients to help them avoid costly mistakes. Income InSight - Income InSight™ is all-in-one planning software that helps you provide clients with direct and specific answers to their most pressing questions through deep integrations with Social Security Timing, Tax Clarity, and SmartRisk while providing a natural transition to the broader retirement income plan. Dimensional Fund Advisors LP is a leading global investment firm that has been translating academic research into practical investment solutions since 1981. We strive to build deep, enduring relationships with advisors who share our desire to create better financial outcomes for clients. Dimensional and its global affiliates manage $517 billion for clients worldwide (as of December 31, 2018). This is not just another online profile. FeeOnlyNetwork.com raises the visibility of fee-only financial advisors, individually and collectively, in a systematic and powerful way. A FeeOnlyNetwork.com profile is an advisor’s most comprehensive, connected and influential online page. It enhances their own online footprint and visibility in a way not available through any other marketing service. Every advisor profile (currently +3,200) works together to raise the visibility of a network of information (currently +20,000 web pages) that promotes the fee-only model, and fee-only advisors collectively. In addition, FeeOnlyNetwork.com is among the most visible find-a-planner sites, serving over a half million profile views annually. Membership in FeeOnlyNetwork.com is exclusively for advisors and firms affiliated with The National Association of Personal Financial Advisors (NAPFA), XY Planning Network, Garrett Planning Network, and The Alliance of Comprehensive Planners. Fidelity Clearing & Custody Solutions® provides a comprehensive clearing and custody platform, brokerage, investment and reporting services, trading capabilities and practice management and consulting to registered investment advisors, including strategic acquirers and professional asset managers, retirement recordkeepers, broker-dealer firms, banks, insurance companies, family offices and wealthy families. Fidelity Clearing & Custody Solutions’ goal is to help clients ensure that they are always future-ready by offering knowledgeable consulting, exceptional people and transformative technology. FP Transitions is the nation’s leading provider of equity management, valuation and succession planning services for financial advisors. The team of consultants includes financial analysts, legal professionals and business coaches, who work together to provide comprehensive, unbiased strategic solutions for financial professionals. The firm’s expertise has been compiled into two books, “Succession Planning for Financial Advisors: Building an Enduring Business” and “Buying, Selling, and Valuing a Financial Practice: the FP Transitions M&A Guide,” both published by Wiley & Sons. Based in Portland, Oregon, FP Transitions operates the largest fully-supported open market for buying and selling financial service practices in the U.S. The Garrett Planning Network, founded in 2000, is the leader in helping new and experienced planners build successful Fee-Only, hourly-based RIA firms. Established with the clear mission to make financial planning accessible to all, not just the wealthy, Garrett provides planners with a collaborative community of like-minded peers and a proven business model that includes technology, compliance, marketing and practice management coaching. Garrett also provides a mentor relationship, training materials and templates, a 3 ½-day in-person training program, continuing education, an annual conference and more! Visit GarrettPlanningNetwork.com or contact Justin Nichols, Justin@GarrettPlanning.com, to learn more about how to tap into the collective wisdom of hundreds of experienced, helpful, like-minded professionals that make up the fantastic Garrett community. Griffin Capital Company, LLC ("Griffin Capital") is a leading alternative investment asset manager that has owned, managed or co-sponsored approximately $16.8 billion in assets. Founded in 1995, the privately held firm is led by a seasoned team of senior executives with more than two decades of investment and real estate experience and who collectively have executed more than 650 transactions valued at over $22 billion. The firm manages, sponsors or co-sponsors a suite of carefully curated, institutional quality investment solutions distributed by Griffin Capital Securities, LLC to retail investors through a community of partners, including independent and insurance broker-dealers, national wirehouses, registered investment advisory firms and the financial advisors who work with these enterprises. Lincoln Financial Group delivers sophisticated RIA-specific strategies and products for the creation, protection, and enjoyment of wealth. We are committed to helping clients plan for retirement, prepare for the unexpected and protect their wealth from five key financial challenges: taxes, long-term health costs, longevity, inflation, and market risk. 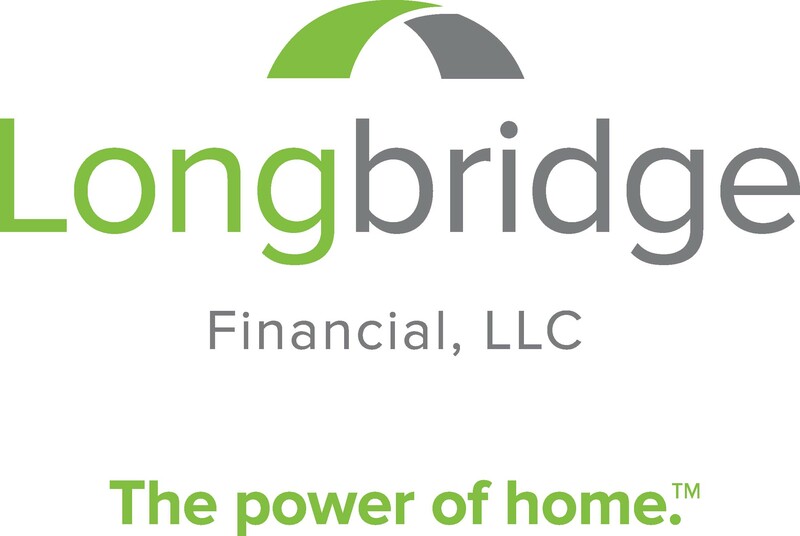 Longbridge Financial, LLC is a leading national reverse mortgage lender and servicer committed to providing financial advisors with the education and support needed to responsibly utilize home equity in retirement planning. The financial solutions Longbridge offers can help by giving clients options to improve flexibility, tax efficiency, and cash flow – while preserving other portfolio assets. Longbridge is a resource for advisors and their clients across the country, working with reputable firms that share our commitment to the highest ethical, regulatory, and customer service standards. NAPFA ADVISOR SPECIAL: Call us today at 855-246-1765 or contact advisors@longbridge-financial.com to join our HECM Advisor Network. We will help you take advantage of the many benefits this exclusive membership offers, including special discounts for your clients and educational opportunities for you. 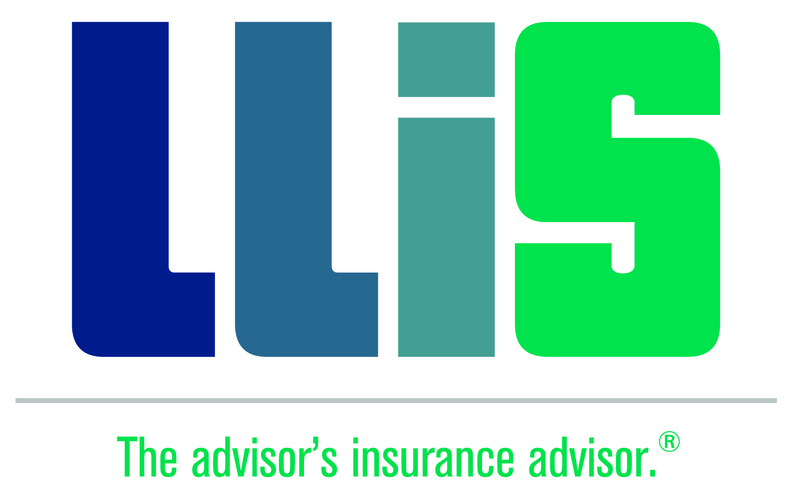 Markel’s Investment Advisor Professional Liability insurance offers E&O Insurance for RIAs and financial planners primarily designed to cover investment management and advisory services. Markel has offered this specific line of insurance coverage since 1988 and is referred to by several financial associations. It offers a 5% credit to members of selected financial associations (for a maximum 15%). They offer very competitive minimum premiums with coverage limits from $100,000 to $5 million per occurrence. 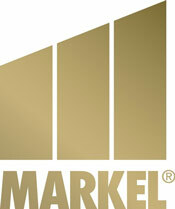 Markel is part of an NYSE-listed insurance holding company, Markel Corporation, (symbol: MKL). MCA offers Directors & Officers liability insurance (D&O/Management Liability), data breach, media liability and wire fraud (cyber), tax preparation, and divorce consultation coverages. MoneyGuide, created by PIEtech®, is the leading interactive web-based financial planning software. Whether you are an independent advisor or part of a large firm, MoneyGuide scales to meet your needs. PIEtech® offers four dynamic configurations to MoneyGuide - MoneyGuideOne, MoneyGuidePro®, MoneyGuideElite and, coming soon, MyBlocks. Nationwide Advisory Solutions, formerly Jefferson National, is a recognized innovator with a mission to help RIAs and fee-based advisors build their practice by helping their clients to potentially accumulate more wealth and reach their financial goals. Nationwide does this by developing and delivering value-added investment products, services and technologies that dovetail with fiduciary obligations – wrapped in an industry-leading customer experience. Paravest Capital, LLC is a privately-owned real estate investment company headquartered in Dallas, Texas. Paravest was founded by Rockwell Hopkins and David Heath, with Gerald Ford as its Principal financial partner. Acting in the best interest of our investor partners, Paravest seeks to provide opportunities to co-invest with experienced real estate operators in a diversified portfolio of property types located throughout the United States. We provide high net worth individuals, family offices and wealth management advisors the opportunity to invest in joint venture partnerships with experienced, high quality operating partners. Our shared goal is to create attractive risk-adjusted returns through acquisition of high quality investments and select new development opportunities. We seek investments that provide both attractive current income returns as well as a superior opportunity for capital growth. Each investment offering includes a written business plan and exit strategy with an eye on properties that have the ability to withstand the ups and downs of economic cycles. STRATA Trust Company is a top-tier national IRA custodian specializing in alternative investments, like private equity, real estate, hedge funds, private debt, futures, crowdfunding, and more. Based in Austin, Texas, STRATA provides industry-leading knowledge and expertise to help advisors, financial institutions and their investors with alternative asset custody solutions in tax-deferred retirement accounts. 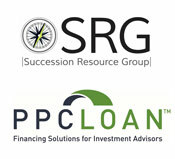 Succession Resource Group and their financing partner, PPC Loan, are dedicated to helping independent RIAs with mergers, acquisitions, and succession planning. Succession Resource Group is a boutique consulting firm headquartered in Oregon and has decades of experience helping independent RIAs with valuation, buying, and selling practices – providing turnkey solutions including industry expertise, customized form contracts, tax strategies, and lending through their partner PPC Loan. PPC Loan is headquartered in Texas and has over 20 years of providing cash-flow based financing solutions for acquisitions, buy-ins/buy-outs, equity purchases, and refinancing/restructuring existing debt. Together, SRG and PPC provide a unique and comprehensive solution to help independent RIAs get deals done. The Financial Transitionist Institute (FTI) is the training and certification division of the Sudden Money Institute (SMI). With twenty years of experience, we offer the industry’s first designation in the human dynamics of financial change and transition­—the Certified Financial Transitionist® (CeFT®). We work in five continents helping advisors separate themselves from their peers with the knowledge, process and tools necessary to handle the challenges of the personal side of money. Develop a deep understanding of the human dynamics of change and transition. Build their business on the premise that when a client’s life is changing, the client’s human experience of change is the starting place for protecting, recovering and increasing wellbeing. Clients-in-transition often struggle with communication, decision-making, managing expectations, and even implementation, and they require a different set of tools and protocols than most advisors are used to. They also require a process that explores, integrates, and celebrates who they are as individual people. As human beings. We have written the playbook for Financial Transitions Planning. We share it as part of our trainings and certification programs. For independent RIAs who want to do right by their clients and build a business on their own terms, there’s only one choice. TD Ameritrade Institutional provides award-winning advisor tech, industry-leading service and advisor-first advocacy. The result? Efficiency. Growth. 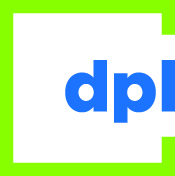 And a firm that transforms lives, careers, and communities. Award-winning tech: Spend less time trouble shooting and more time rocking your clients’ world. Open-architecture Veo One lets you do more in one place. iRebal slashes rebalancing time. Industry-leading service: Consider us an extension of your staff. TD Ameritrade Institutional always has your back. Advisor-first advocacy: From policy input to industry sustainability, you have someone going to bat to future-proof your business. Learn more at tdainstitutional.com or call us at 800-934-6124. TIAA (TIAA.org) is a leading provider of financial services in the academic, research, medical, cultural and government fields. TIAA has $1 trillion in assets under management (as of 09/30/2018) and offers a wide range of financial solutions, including investing, banking, advice and guidance, and retirement services. Since its beginning in 1975, Vanguard has grown to become one of the world's largest investment management companies, with more than $5 trillion assets under management. Vanguard provides an array of investment products, including a full range of low-cost ETFs and mutual funds designed to help financial advisors grow and preserve the wealth of their clients. In addition to our many investment and client-focused services, our commitment to financial advisors includes innovative practice management solutions that can help advisors attract and retain clients, build their practices, and enhance their professional development. Most investment firms are either publicly traded or privately owned. Vanguard is different: We're owned by the Vanguard funds, which are owned by our clients. We make every decision with only our clients' needs in mind. Our unique structure, along with our commitment to provide outstanding performance, provides financial advisors with many opportunities for building their businesses and enhancing their client relationships. For more than 25 years, Vanguard has provided annuity solutions for tax-deferred retirement savings and guaranteed income. Vanguard's Annuity Advisor Services offers NAPFA advisors best-in-class service with a range of high-quality, low-cost products, which include variable annuities, income annuities, and longevity insurance. When partnering with the Annuity Advisor Services team, your direct annuity point of contact can help you evaluate annuities, make product comparisons, and provide service support, allowing you more time to focus on your clients. Vulcan Value Partners, LLC ("Vulcan") is an SEC registered investment advisory firm located in Birmingham, Alabama. We are fundamental value investors who provide our investment expertise through 1940 Act mutual funds, separately managed accounts, collective investment funds, and UCITs funds. Our primary objective is to minimize the risk of permanently losing capital over our long-term time horizon, which is five years. We believe that by concentrating on not losing money, making money will take care of itself. We control risk by demanding a substantial margin of safety in terms of value over price and limit investments to companies that have sustainable competitive advantages that will allow them to earn superior cash returns on capital. We are also business operators and recognize that we are investing in real businesses that are run by real people that face real issues. We evaluate business risks, assess people, and scrutinize competitive strengths to consider long term investment. If we would not be comfortable owning an investment for five years it does not qualify. We are not traders or speculators. We do not buy pieces of paper or discrete random variables. We are long term owners in a collection of superior business enterprises. Wasatch is a research-driven, employee-owned investment advisor, managing a family of small cap no-load mutual funds. Located at the foot of the Wasatch Mountain Range in Salt Lake City, Utah, we are far away from Wall Street and the herd mentality. Our portfolio managers pursue a disciplined approach to investing focused on bottom-up, fundamental analysis to develop a deep understanding of the investment potential of individual companies. The confidence investors find in Wasatch comes not just from what we do, but from who we are. Wasatch is 100% employee owned—we deeply believe in our practices and back them up with our own time and investments. XY Planning Network is the leading organization supporting financial advisors who provide fee-for-service financial planning to Generation X & Generation Y clients. XYPN is a turnkey financial planning platform, providing everything from compliance support to the technology necessary to start, run, and grow (or transition to) a fee-only RIA doing real financial planning for next-generation clients, with real independence, and access to a real community of like-minded advisors. Zeo Capital Advisors is a fixed income investment manager with a short duration credit strategy and a sustainable credit strategy (ESG high yield). As a repeat NAPFA sponsor, we value this conference and the opportunity to engage with our clients and meet new advisors to learn more about your practice to see how or if we can help—even beyond our mutual funds. Given our propensity to be more consultative in our interactions we have engaged with advisors through formal arrangements to evaluate their entire fixed income offerings. So whether you want to talk specifics around our credit mutual funds, explore more about your fixed income allocations in general or share more about your firm, stop by and say hello. We are here as a resource for you. Zoe Financial was founded with the sole purpose of helping consumers with the important decision of hiring an advisor. Zoe carefully curates a network of independent, fee-only financial advisors and financial planners across the country. The advisors in the Zoe network are actual financial planning professionals, rather than salespeople trying to push a financial product on you. Are you fee only? Apply here. We believe that the relationship between an enlightened financial planner and an equally enlightened client untaps tremendous value. Our matching algorithm provides a frictionless digital experience where you answer a few questions, review the matched advisor profile, and start chatting with them right away. Zoe turns the process on its head by allowing you to decide who you want to hire, with the click of a button.